The UK government has passed a bill that is set to increase the point of consumption (POC) tax to all online gaming platforms as of 2019. Since the UK government has an obligation to level the playground for both its citizen who gambles as well as the online gambling companies, therefore they decided to raise the POC earlier before they initiate their earlier proposed fixed odds betting terminals (FOBT) maximum limits that are scheduled to start on April 2020. The owners of online casinos seem not to be satisfied by the government’s decision claiming that it will limit on their profits. The government will announce the new POC tax rate before the end of this year. These new changes on the gambling industry have resulted due to an investigation that was carried out in October 2016 by the competition and markets authority (CMA) to ensure that these gambling companies operate responsibly in accordance to the consumer protection law. As a result of this investigation, new rules have been suggested in order to create fairness and protect problem gamblers in the gambling sector. On May 2017, the government said that is intending to lower the limits for maximum stakes on FOBT to £2 from the currently set price £100. These FOBT limits pose as a major setback for the online casinos in terms of profits and job loss that is expected to hit them immediately after its implementation. In 2016 about £4.7 billion gross revenue was generated from the online gambling sector in which this was an approximate of 34% of all money that generated in the gambling economy. With that said if an immediate FOBT implementation will have to take place, the central government will also be affected since it will have reduced the amounts of revenues expected to be collected from online gambling. In addition to that, the issue of FOBTs limits raised major concerns from all shareholders because of its side effects to the overall economy. Due to the treasury concerns about unemployment levels and reduction in revenues, they opted for a raise in the POC taxes and postponing the implementation on FOBT limits. Other countries like France, Spain, and Australia have already implemented a high tax rate on gambling companies, but as at now, the POC tax in the United Kingdom stays at a 15% rate. Some critics claim that it is a selfish move by the government in the fear that there might be a loss in the budget so raising tax was a way of guaranteeing high revenues before initiating the FOBT limits. The rise in tax will affect all online casinos whether operating from inside or outside the country as long as your players are from within the UK. It is very evident that this will, in turn, have to make these online gambling firms to raise prices of their odds. 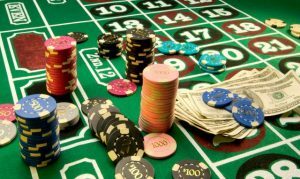 Therefore, the effects of increasing the tax will as well be felt by online gamblers since their customers will be the ones financing their burden. The two-year delay between the implementation of the FOBT limits and the POC tax increase would be necessary in avoiding massive instant loss of jobs or closure of the online gambling sites. The CMA and the gambling commission are in the forefront to ensure all online gambling firms are aware of these new regulations and are ready to monitor all operations as from next year to ensure all online gambling firms comply with these regulations. The government treasury argued that the increase in POC duty would be the key solution to cover any negative impact brought about by the FOBT regulations such as protecting jobs of its citizens who work for online gambling firms and stopping the machines ruining lives of problem gamblers. oh no, this is not happening! pfft. big stakes comin’ in for this one.